Welcome to our Tutorials page. Here you will find top-rated resources to some of the best tutorials in everything related to the piano. For those who want to learn how to play, we keep track of the best resources. Keen on becoming a piano technician? We’ll also share some handy tutorials on piano tuning and more! One of our favorite resources is flowkey – a great place for players from all walks of life and levels. Whether you are a novice or advanced player, you’ll find this tool invaluable to your progress on the piano. Learn everything from sheet music to playing your favorite songs on flowkey. It also caters for both keyboard and piano players, which makes it great. Loop and learn at your own pace when joining flowkey. From counting to theory, this source covers just about every aspect of learning how to master the piano. If you are a dedicated student you’ll love sinking your teeth into their extensive list of resources. From beginners to intermediates, this platform serves anyone with a passion for piano. You will have access to free material if you are just getting started, while other materials may require a fee. The site also caters for advanced players, which makes it more versatile and worthwhile. 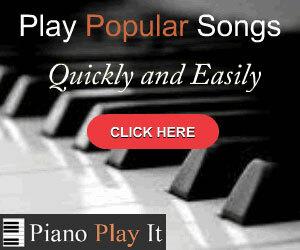 Apart from great resources, on this site you will also gain access to some of the best Jazz piano lessons out there. Learn how to play Jazz professionally with tons of other piano students while taking any of the courses available here. Whether you are a beginner or intermediate pianist, you’ll find a jazz piano course that suits your individual needs at freejazzlessons.com! This top-rated course hosted by udemy will have you playing the piano in a matter of weeks! Any genre you wish to master, you’ll be able to play to your heart’s content. Learn all the essentials like technique, how to read sheet music and much more when joining this amazing course. This course is geared towards beginners with no prior musical knowledge or background. It also won’t take up too much of your precious time and only requires twenty minutes of practice per day. Be sure to check in on our Tutorials page on a regular basis as we tend to post new and hot tutorials frequently. All the best in learning how to play like a master!